PRAGUE, March 4, 2016 – Four Seasons Hotel Prague is pleased to announce the coming of a new spa concept combining local traditions with the latest in luxury pampering. 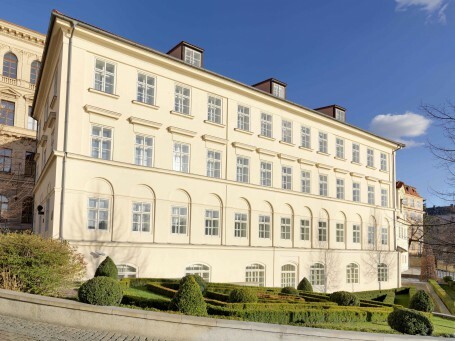 Set in an historic Neo–Classical building overlooking Prague Castle, the Spa at Four Seasons Hotel Prague is being designed in synergy with the Hotel´s décor and will offer authentic local spa and wellbeing experiences. Unique in Prague, facial and body treatments will be infused with beauty secrets indigenous to Old World Europe. Based on water and mineral rich products, treatments are enhanced with state of the art thermal baths and a vitality pool. Only here, will you find an authentic Central European spa experience. Exclusive facial and body treatments with moor muds and a relaxing and healing thermal bath menu. The new spa will feature five treatments rooms, including a couple’s suite, two spa baths and a vitality pool in addition to separate steam and sauna rooms and a lounge area. The spa’s design took inspiration from the Hotel’s décor and will feature natural materials, including wood, glass and stone; characteristic ceiling arches, tiling and stencilling. The carefully implemented design and bespoke furnishings reflect the quality of the architecture native to the building, whilst the design scheme has been adapted to emphasize a relaxing and revitalizing experience for spa guests. The spa will be offering three cosmetics lines. Each one is being carefully selected for the treatments offered, to ensure the highest quality experience. “We are pleased to carry Omorovicza, a Central European brand, based on mineral rich waters which is the essence of our local experience; Sodashi, a chemical free Australian cosmetic line featuring natural essential oils and plants with anti-aging, nourishing and balancing properties and Swiss Perfection, a high-end cosmetic brand specially focused on anti-aging cellular therapy,” comments René Beauchamp, General Manager at Four Seasons Hotel Prague. The planned opening date for the new spa at the Four Seasons Hotel Prague is Summer 2016. Ongoing spa news will be shared as the opening date approaches.